Do you remember the Lamborghini LM002, the first SUV built by the supercar manufacturer back in 1986? 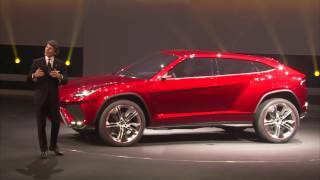 Well, those who thought the "Rambo Lambo" was Lamborghini's first and last attempt to make an SUV were wrong, as the manufacturer just revealed at this year's Beijing Auto Show their second take on an SUV, the Lamborghini Urus Concept 2012. It's actually no surprise that Lamborghini wishes to get back in the SUV market, as other big brands have already done so, but if you're thinking that the Audi RS Q3 is more appropriate because it comes from a company that doesn't generally revolve around sports cars, with the exception of the Audi R8 of course, think about Porsche and their Cayenne Turbo, or the upcoming Cayenne GTS 2013. There's no reason why Lamborghini shouldn't try widening their perspective and take part in the sport SUVs phenomenon, especially when you consider the fact that they wanted to do so long before Porsche. That being said, let's take a look at what we can expect from the Lamborghini Urus Concept 2012. Unfortunately, Lamborghini hasn't revealed the engine that is to be found in the Urus Concept, but they did mentioned the power should be somewhere around 600 HP and that the engine will produce the lowest amount of CO2 when compared to its rivals. 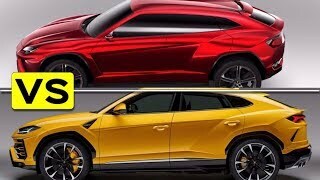 As for the transmission, the manufacturer revealed only that the Urus Concept 2012 will benefit from a dual-clutch transmission and it will be a permanent all-wheel drive SUV. On the exterior the Lamborghini Urus Concept 2012 manages to remain true to Lamborghini's sporty heritage and offers a sporty, flamboyant look featuring sharp lines, wide wheel arches and fat air intakes sculptured in the front bumper. 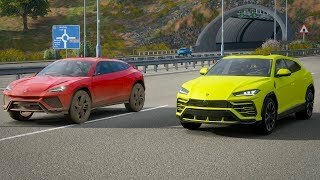 The good thing about the exterior design of the Lamborghini Urus Concept 2012 is that unlike the Porsche Cayenne, the Urus manages to differentiate itself from its sportier siblings not only through its sheer size, but overall design as well. Additionally, the exterior of the Lamborghini Urus Concept 2012 has been enriched by LED fog lamps, carbon fiber winglets and a set of brand new 24-inch wheels. On the interior the Urus Concept 2012 offers four comfortable seats, a generous luggage compartment and a multifunctional steering wheel featuring flappy paddles, a TFT screen mounted behind the steering wheel and an infotainment system offering climate controls and navigation. 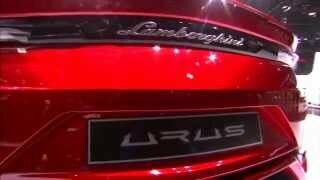 As far as availability goes, the Lamborghini Urus Concept is expected to go in full production sometime before 2015.